Montreal. 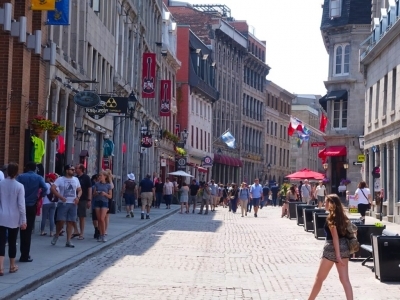 To many, the name itself evokes long walks through the European-style Old Port, dining al fresco in downtown restaurants, and sipping wine while tapping one’s foot along to jazz music. There is no city quite like Montreal. 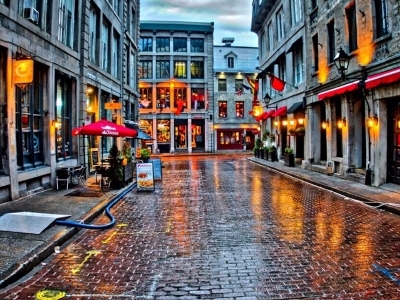 Frequently compared to Chicago, New York and Paris, Montreal attracts people from the four corners of the globe for its cosmopolitan look, its sophisticated allure, and its bilingual structure. To quote Jamie Farr: “You know what’s nice about Montreal? Not only is it a beautiful city, but you have Cuban cigars.” What else could you ask for? Here is a list of the top five activities to do if you’re lucky enough to vacation in this gem of a city. Walk up Mount Royal. Sure, it may seem like the traditional tourist attraction spot, but there is a reason why Mount Royal remains the number-one spot to get some exercise and enjoy the cityscape among visitors and Montrealers alike. Exercise enthusiasts often jog all the way up from Sherbrooke Street to the top of the mountain and celebrate their feats by relaxing by the Mount Royal cross, first erected back in 1643 by the city’s founder, Paul Chomedey de Maisonneuve, who prayed to the Virgin Mary to terminate a horrendous flood. The two belvederes offer respite from the scorching sun in the summers while seven groomed cross-country ski and snowshoe trails are legendary in the winters. You can learn more about the mountain and ecology preservation at http://www.lemontroyal.qc.ca/en/learn-about-mount-royal/homepage.sn. Roam the streets of Outremont. Plunge into the urban, modern, elegant and distinctly Francophone neighbourhood of Outremont to get a real chance to practice your French and immerse yourself in another world. Comparable to Anglophone Westmount, Outremont is a nice place to get away from the hustle and bustle of the downtown core and to relax by well-maintained parks and its brightly-lit cafés. For shoppers, the avenues of Laurier and Bernard in Outremont may be the number-one place to find that perfect gift for your grandmother, or that especially creative pair of earrings for your best friend. For example, hit Gourmet Laurier at 1042, avenue Laurier West and wade through the seemingly limitless amounts of chocolate, cheese and yummy goodies on sale. For lingerie, you can’t go wrong with Lyla, situated at 400, avenue Laurier West, where assistants are eager to help you slip into that fine bathrobe or try on flattering swim suits made with European-style cuts. Lap up some ice cream. Although the rave is usually reserved for bagels and poutine, the ice cream parlours scattered all around the city still scoop up some delicious and refreshing flavours. For instance, head to La Diperie. This old-fashioned ice cream parlour offers up Becky’s Fave, made of dark chocolate and ginger, or Aqua’s cheesecake made of maple pecan ingredients. The broad smiles pay a fine compliment to this fine establishment. 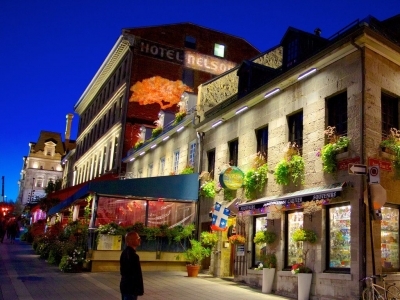 Head to the Montreal Jazz Festival. Running from June 28 to July 8, this festival attracts all music lovers, not just jazz fanatics. At nights, the stages come to life as musicians like Coeur de Pirate, Milk & Bone and Pierre Kwenders grab the microphone and perform to their hearts’ content. Dare to try this festival, even if you wince when you hear Oscar Peterson or Charlie Parker. At the Montreal Jazz Festival, urban pop meets Afro-Caribbean culture and classical jazz is often paralleled to reggae.